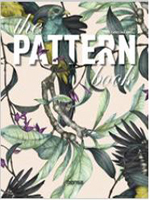 "The Pattern Book" is a compilation of artists from different backgrounds (graphic designers, illustrators, painters, collage artists, photographers...) who design prints. Prints for fabrics, such as for wall paper, editorial publications, packaging... There are so many designs as the imagination of their creators is unlimited. Each of the artists tells us about their work process, their method and their style, as well as their professional journey.